← Business Insurance:: ISO 31000 should we believe the hype? JO has nicely summarised what I have (unknowingly, in the beginning) been mapping-out in my mind as a viable alternative to the unsustainable model(s) adopted by the insurance industry and wider Financial Services industry. All I need now is to identify the ‘risk leaders’ of tomorrow. If that sounds like you, please get in touch. Right now, customers are sharing media and ideas on social technologies, in the near future, they’ll use similar technologies to share products and services, which will cause a ripple of impacts far more disruptive than what we’ve seen before. 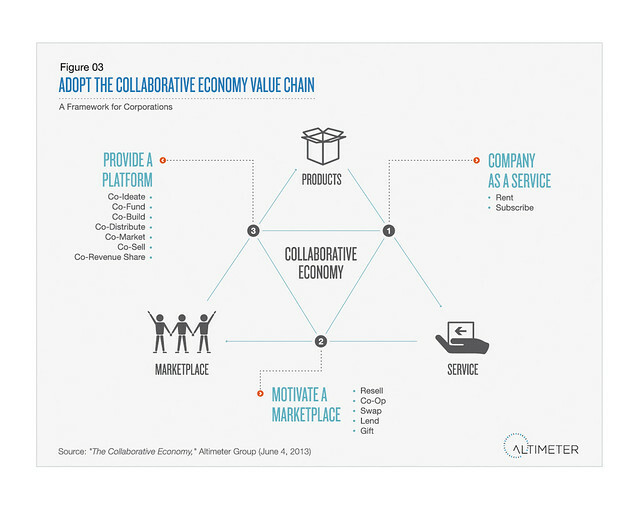 Report: Corporations must join the Collaborative Economy | Web Strategy by Jeremiah Owyang | Social Media, Web Marketing.